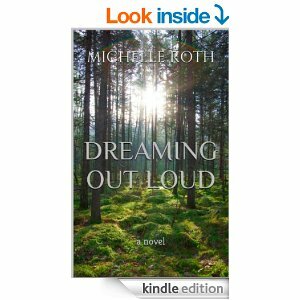 Michelle Roth is a writer and photographer from Beaver Dam WI. She writes about unique family dynamics like single parenthood and polygamy because she believes that we are all similar as women and mothers, regardless of what our lives and families might look like. Michelle has four children and does her writing between chasing her busy teenagers or during the rare naps of her newborn. Whether it pertains to raising children, writing or photography, Michelle believes in making the world a better place, one chapter or photograph or kid at a time. Today is my daughter Lincoln’s last day home with me before starting 4k. I’m feeling so conflicted about it. She’s so independent, loves to socialize and she’s very excited so this is the next right step. But she’s also my baby and the child who needs the most protection in an increasingly agitated world so letting her go even a little bit feels scary. On the other hand, she’s found a train whistle to blow incessantly for our last morning together and that’s probably a helpful reminder to me about needing some peace. For the vast majority of my adult life, my time- in both moments and years- has been spent caring for others. Taking care of my girls and my mom, and then just when the girls got somewhat self-sufficient, Brice came along. When Brice finally got old enough to leave every morning for 4K, Lincoln was a newborn. It’s been more than 8 years since I’ve had mornings to myself. And it’s been 22+ years that I’ve been the primary caregiver for many people that I love. The truth is, I need some time for me. For all these years, my days have been spent picking up and dropping off kids and groceries and toys and messes. Doctors and dentists and orthodontists and appointments. Because someone needs to do it. There is always a long to-do list and the one consistent thing that drops off that list is me and my needs. My work, my writing and my photography. My chance at a social life. Everyone else’s needs seem greater, or they are louder and more adamant. My needs are a silent priority so my moments for peace and quiet disappear until its far too late to do anything except head to bed so there will be energy to do it all again tomorrow. I’m well aware that I need this time if I ever want to finish the book I keep picking at yet never give my full attention to. I need this time to pitch articles and answer emails and take pictures and read a book or even an article without interruption. But for every door that opens, another closes. The price for the peace and silence feels like ending of an era. Because it is. Lincoln will go into school and then she’ll be gone, at least partially. Five mornings a week she will no longer be mine. She will be her own person, separate from me completely in those hours. And in another blink of an eye, she will be in kindergarten and then she’ll be gone all day. The concentric circles that make up our lives as parents will keep widening farther and farther. After 22 years of parenting, I find this a much scarier thought than I used to. After 22 years of parenting, I’m so very much defined by this role of mom. I couldn’t separate myself from it if I tried. It’s built in like rings within the tree, counting the years and generations. Georgia, senior. Holly, sophomore. Brice, age 3. And now I know that I’m going to blink and these long days of constant demands and noise and “Hey Mama!” will be replaced with the silence of their absence as the circles widen even further until eventually they have lives all their own. I know this all too well. Twenty years goes by while you are picking up and dropping off and making appointments until suddenly you are the one left behind. You- the one who sacrificed your whole life so they could have theirs. The baby who will make me a Grammie. In truth, it all feels like it’s all coming to a head. Twenty-two years ago my oldest child was born. Now she’s having a baby of her own, as my own baby picks out her clothes for her first day of school. Even my sweet “little” Brice is suddenly looking like a big 8-year-old this year. And my husband’s vasectomy looms in the shadows of later this month, like the final tipping of the scales from one part of my life to the next. And I’m not even saying any of it is wrong or shouldn’t be this way or that its not for the best. I’m just saying it’s really hard after all these years to let it go. To move on into the phase of big kids and grandkids and more time for me and my dreams and career and maybe even a little quiet. Sometimes even the thing you want and need so badly can be so hard to face. But for this morning, there is a loud train whistle and a little girl singing along with Frozen. And I will take it while I have it. A year ago yesterday, my husband and I embarked on a new and exciting adventure with food. We dropped meat and dairy from our diets in an attempt to become as healthy as we could. Saying it like this makes it sound like it was some big leap of a decision that we made overnight. But for a year before that, we were already dropping foods from our diets and researching how to eat healthy. Because despite there being a thousand weight loss and exercise programs out there, it seems to me that very very few of us really know what it takes to truly be healthy. I struggled with my weight and my health for most of my life. I would always claim “I eat pretty healthy,” or admit that I just needed to exercise more. By even when I did “eat healthy,” I didn’t see real results. And I sure as heck didn’t feel great. I mostly lost weight from extremely stressful times when I could barely eat anything at all. Or from illness. Even the year of my life that I ran 20-25 miles a week didn’t help me get the results I was looking for. Weight loss and “being healthy” always seemed to be some big secret that I wasn’t privy to. My husband struggled with obesity most of his life as well. After becoming ill and finding out he had diabetes, he lost a lot of weight thanks to a strict regime of egg white omelettes, white meat chicken, very low calorie counts and grueling daily workouts with a trainer. His diabetes became at least decent and his blood pressure became manageable. He still required cholesterol meds. But a bland diet of only a handful of foods and a strict, intensive exercise program rarely lasts long for even the most strong-willed among us. And once kids and family commitments came along, exercising for hours each day became impossible. And eating habits reverted back to foods that were quick and readily available. Of course, the weight came back on. This was where we were about two years ago. At the same time, I was unable to lose the weight I’d gained being pregnant and nursing our daughter, Lincoln. I was having lots of stomach problems, allergy problems, hormonal imbalances, sleeping problems, breathing issues, joint and muscle pain and mood swings. My husband needed to go back on all his meds and was having his own fair share of medical scares. We both had parents who got seriously ill and died young, and we knew we were heading in the same direction. But where do you even start? Especially if you’ve already tried it all. This is why I often say that this has been a journey. It wasn’t one big change but a series of them. For us, it started with eliminating red meat, and then trying to get rid of more processed foods. Then it became clear that my body couldn’t handle gluten so we dropped that. We food journaled. We researched. We whittled away at our diets, trying to eliminate all foods that didn’t serve us. The true goal was not to be thin. The goal was health and wellness. The goal was to NOT die young. We saw some successes that year. We improved but also knew there was more work to do and that we needed help. So we started to watch documentaries and read books, keeping an open mind and enlisting critical thinking and logic. We specifically wanted to know how the healthiest people on earth eat. This is when Forks Over Knives and Dr. Caldwell Esselstyn came in and changed our lives. This is when we found the answers we’d been seeking forever. And this is when we made the most difficult jump and stopped looking back. One year ago. I’m so very very thankful for that day. Without ever being hungry, we both lost weight and immediately began to feel so much better. Without having to eat bland boring diets (or dangerous fad diets) we both got thinner than we’ve ever been. And unlike all the other times in our lives that we’d lost weight, we did all of this without exercise. And without ever feeling deprived or bored or hungry, because we eat a huge variety of nutrient-rich and filling foods. Real foods. Fruits, vegetables, beans, lentils. Whole foods. Unlike so many fad diets out there, this way of eating and living drastically improved not just how we look but also how we feel. And most importantly, it improved our actual health. Our cholesterol and blood pressure numbers are better than your average 10 year old. Better than either or us have ever been on record in our lives. This is quite the accomplishment at 44 and 49 years old. Without meds or anything except plants as fuel, we have turned back the clocks in our arteries and our immune systems. Like some magical fountain of youth, made out of bananas and lentil soups. The most common comment I get is, “But I could never eat that way! I couldn’t give up cheese/burgers/pizza/donuts.” But I am not some superhero and neither is my husband. We have no magical powers. We ate the standard American diet for most of our lives and we were just as addicted to it as the rest of America. We feel no superiority or self-righteousness because we’ve had all the same struggles and battles with food as most people do. We wouldn’t be able to eat this way (for a whole year now, without exception) if it wasn’t satisfying and incredibly tasty. The biggest challenge was some patience with the learning curve of looking at food in a new way. It took a willingness to give it a little time, as well as an open mind to the possibility of a better life. I often say that I wouldn’t go back to the standard American diet if you paid me millions. And I mean it. My allergies are gone. My stomach problems are gone. My joint pain and muscle aches and stiffness are gone. My body feels better than it did in childhood. And more than anything, the fear and dread of dying young like our parents has left the forefront of our worries. We can’t protect ourselves against all of the pitfalls in this fragile life, but that doesn’t mean we can’t look both ways and learn to cross the street safely. That doesn’t mean we don’t buckle up when we get into our minivans. That doesn’t mean we can’t learn to eat for our health. My mom had a heart attack just before she turned 54. It almost killed her, and I watched her (and cared for her) through another dozen years of health crisis after crisis. I think of this whenever I’m told my diet is “crazy.” As well as this quote form a doctor I’ve come to think of as a mentor. What I know most certainly of all is that if my husband and I can navigate and learn this lifestyle, so can you. In April, I made an appointment as a new patient to see a physician’s assistant here in town. My appointment was with Mary Ann Chambers, a PA affiliated with Beaver Dam Community Hospital Medical Clinics in Beaver Dam, Wisconsin. The hospital has outlying clinics in many areas throughout the state. I hadn’t been to a doctor in years because my primary care provider had moved out of the area, but mostly because I’d been generally healthy and not ill. But in January, I had a bad bout of Influenza. I was improving steadily, but still feeling fatigued if I did too much. A friend (who is a nurse) recommended that I get checked, specifically for my thyroid function, since I have a family history and the flu can trigger thyroid problems. I went online, found a physician through our insurance who was in network and also local, as I try to support locally for everything I can. I made an appointment for the following week, which was the soonest regular appointment they had available. Since they put it in writing, I suppose I expected that to be true. When I arrived, Chambers asked me why I was there, as well as a detailed list of potential problems I might be having, in addition to getting a family history. When she asked about diet, I explained that we are whole food, plant-based, meaning that we eat no meat, no dairy, no eggs, no processed foods and no oil. We eat fruits, vegetables, legumes and whole grains as close to their original form as possible. She did feel my thyroid, informing me that “Your thyroid is fine so you were wrong about that,” as if coming in with a specific concern was not only discouraged but reason for shaming. She did not feel any of my lymph nodes, despite knowing I had recently had Influenza. She did not have me undress or check over any part of my body except the thyroid. She did listen to my heart and lungs through both of my thick shirts for a total of 3 breaths in and out. Then she proceeded to show me her gnarled arthritic fingers, then grabbed her large belly with them and told me that these were signs of aging and I should “wake up to the reality” they would happen to me too. She told me that when menopause hit, I would gain weight and have health problems like everyone else. Again, she told me that I wasn’t “special” just because I didn’t eat meat. In the end, she didn’t want to draw any blood work, telling me that for now I was the picture of health and didn’t even need to exercise. She told me I needed to get more rest and should consider eating meat. I told her that based on my mother having a heart attack at 53 years old, I had to insist on some basic labs. I hadn’t been seen by a doctor since my last child was born 4 years earlier, and at 44 years old, I felt that a check of my cholesterol was important. She reluctantly agreed after I reminded her of her comment that I was most likely going to walk out of the office on at least blood pressure and cholesterol medications. A nurse came in and drew some blood and then I left, feeling no more reassured than when I had come in. But very sure that I needed to find a better doctor. Not only did she constantly contradict herself, but she had a lot of obvious animosity about my chosen way of eating, as well as making snide comments about me being thin and healthy. And at 5’3 and 130 pounds, I am not skinny or fat but healthy in both appearance and BMI. I honestly felt discriminated against for my good health, an odd experience to have with a medical professional. I got a letter (as in, an actual in the mailbox letter) over a week later, stating that I was very slightly anemic, and very, very slightly low on vitamin D. Chambers insisted in the letter that this was due to my diet, and that I should take iron pills and vitamin D and come back to see her in 3 months to re-draw labs. That was it. No conversation, no call, no follow up. Just a letter. I added more foods with iron to my diet and tried to forget the whole thing, other than asking around to some friends to find a new doctor. Had Chambers taken the time to speak with me, or look at old labs in the system, she would’ve learned that I have always tested slightly anemic. And any doctor or PA worth their salt knows that literally everyone is low in vitamin D in Wisconsin in April, and that a little spring sunshine would resolve it easily. But the rest of my labs were stellar, and you’d be hard pressed to find someone healthier on paper than I am. I desire a physician who is willing to support that, and work with me and have a real conversation about my health. It was obvious that Ms. Chambers either had too much personal bias about my particular diet, or simply was not capable of learning about something new. Either way, by the time a month had gone by, I was feeling back to my normal self. The medical visit faded out into a bad memory. Until last month, on my birthday no less, two months after my appointment, when I received a bill for $1300. Our insurance paid $450, the (very reasonable) maximum they will pay for a regular doctor visit with labs, leaving me with a bill for $850. This was for a regular office visit, with labs drawn right there in the office. No tests, scans or even taking off my clothes. I was in office less than 25 minutes and they felt their “care” of me justified $1300. I initially thought it was a mistake and called billing. But they assured me that it “sounded pretty standard” and said they’d send me an itemized bill. The itemized bill shows nothing more than a routine visit and that she ordered every blood test she could possibly order, although since I am not overweight or even ill, and since she didn’t feel I even needed a full examination or blood work to begin with, I have no idea why she felt every single lab was necessary. We had to call numerous times to Beaver Dam Community Clinics and Hospital to get answers and they finally informed us that their billing is based on a “point system.” They have been unwilling to release any explanation or written information about how their point system works, but they told us it was based on how involved a visit was and how much needed to be done and thus each patient would be charged accordingly. Apparently, my visit -where I was not even examined- was categorized as the “highest points,” they can bill a patient. Again, they are unwilling to provide me with the paperwork to try to understand why, although I can’t understand how someone as healthy as I am given such a lackadaisical exam would be considered such a high-risk, high-points patient. Here are my labs, showing clearly in scientific proof that I am healthy and hardly a high-needs patient. I try very hard to give everyone the benefit of the doubt but I have to wonder if Mary Ann Chambers was either simply discriminating against me because of her animosity towards my chosen way of eating, or if she simply over-tests all of her patients as some sort of scam in an already very crooked, for-profit medical system in America. I suppose it’s also possible that she may simply not know what she is doing and thus always tests for everything. I’d like to say that billing helped answer my questions but they have not. You would think a $1300 bill would flag the billing department of the BDCH as unreasonable, but they have had this case “in review” for over a month and get more tight-lipped by the day. At the time of this writing, they completely and totally stand by their outrageous bill, and their PA Chambers. I try, as a general rule, not to gossip or spread negative reviews about any of my experiences in life because I prefer to deal with the offending party directly. In this case, I have contacted the Beave Dam Hospital and Clinics billing department over a dozen times, and only have been allowed to talk to various billing employees. Despite repeatedly asking, I have not been given answers about my bill or who else I could contact to receive clarification. I alerted the billing department that I would be making all of this information public and would like to be sure they received the same information that I am sharing with the world. I was finally given the name James McComas, director of quality control, as well as a physical address, as I was informed that they DO NOT HAVE have email addresses for administrators. Umm, how is that possible? They told me that I am free to write him a letter and mail it if I want to. Despite of all my efforts to remedy this or gain information, it appears that the only way that I can protect friends/potential future customers (or get the attention of the BDCH at this juncture) is to spread the word about this experience with whomever I can. I do not want any of my friends or anyone else in our area to be taken advantage of the way that I was. And no person should be charged $1300 for a well-visit, even if they are feeling slightly fatigued. Can you imagine what they may feel entitled to charge for that visit if someone were truly sick? Such a bill is preposterous to begin with, but it is downright insulting when it comes from a biased, rude and incompetent medical professional. I am writing this in hopes it finds those that are in search of or need a doctor, so they may seek out more affordable and proficient medical professionals. Professionals who will put patients over profits and will not take advantage of those who come in for help, let leave with nothing and get charged 4 times the average cost of a well-visit. I am attaching the detailed itemized costs analysis I requested from the hospital, to show exactly what Beaver Dam Community Hospital and Clinics charges as well as the labs this particular PA felt necessary to run. Hopefully anyone who finds this information will shop around at other clinics before choosing BDCH and being charged the same exorbitant prices. From even my initial investigating of the other providers my family has seen, BDCH Clinics prices are three to four times any other clinic in the area. This picture of Steve and me came up on my Facebook memories from 2 years ago. It struck me, seeing it in full color, the difference between what we looked like then and what we look like now. I remember thinking at this point that we were both doing good, or at least better. I had been walking almost daily and had already lost 20 pounds. We had dropped red meat and rich desserts and we ate out only once a week. But we’d hit a standstill on our weight and my husband’s blood work, which meant he was still required to take cholesterol and blood pressure medications daily, and he was considered a diabetic and teetered on the line of needing medication for it. According to the revered food pyramid and the almighty voices of medical reason, we were playing by the rules. Eating what they recommended, getting plenty of exercise. And yet, we felt terrible and couldn’t find healthy no matter how much we exercised. Or how much white meat chicken and eggs we ate. I went back through my FitBit app this morning and looked up how much I was walking during that time. I was averaging 90,000 steps a week. That’s over 40 miles a week. So, I wasn’t just sitting around being lazy and I wasn’t eating fast food and garbage. And yet I felt awful. This made me realize, after a literal lifetime of fighting this battle, that I may be looking at the whole thing all wrong. That maybe all I’d been taught about food was wrong. I started a food journal. And I started researching food. Food intolerances, allergies, the food industry itself. And finally, what the healthiest people on the planet eat. Those who rarely see heart disease, strokes or cancers. And more specifically, what they don’t eat. I was not looking for some overnight sensation with a quick answer. It became a journey with the only destination being health and wellness. Not a number on a scale or an size in clothing. Not a get-thin-quick fad diet or a new form of exercise with a promise or my money back. It was a search to find the healthiest version of ourselves. And the hope that we could beat the genetic odds which were pretty terrifying in both my family or my husband’s. We’ve both lost 40 pounds since this photos was take two years ago. But now, I average 35,000 steps a week and they are leisurely strolls with the dog and kids. I do gentle yoga on occasion, once every week or two. Exercise has become about honoring my body, not beating it up because it isn’t what I want it to be. And our blood work? My husband is no longer considered diabetic. We both have stellar blood pressure and our cholesterol is so low that it’s less than what is optimal or average for a 10 year old child. It’s so good that neither of our doctors sees numbers that good come across their desks. And best of all, we feel amazing. No more aches and pains and arthritis and stomach issues and fatigue and allergies and crazy mood swings. No more prescriptions with side effects. And best of all, we feel better than we ever have. Which is amazing since we are turning 44 and 49 years old this summer. Our diets are simple foods now, yet never boring. We always have way more food dishes we want to try than meals to eat them. But they are made up of simple whole food plants. Fruits, vegetables, rice, beans, lentils. We relearned how to cook and love our food more than ever. We never have the feeling of being overfill or unsatisfied. I literally wouldn’t go back to eating the standard American diet no matter how much you paid me. What we don’t eat is packaged foods, processed sugar, eggs, meat, dairy, or any kind of processed oils. This quote really hits home to me, since my mother had this exact procedure done after a massive heart attack when she was 54 years old. And the first symptom of heart problems is often a heart attack, which results in death half the time. Compared to all of that, eating plants seems simple. Not extreme. I woke up to that old picture today and felt thankful. For what we’ve learned, for how we’ve grown and changed, and for how we have changed our lives. It could’ve so easily gone the direction of clinging to the standard American diet. I’m so thankful it didn’t. For a long time, we thought the desire for Frozen dolls, purple shoes, pink sparkly shirts, Rainbow Brite and all the unicorn love was a phase. But then we realized it’s an ongoing 2 1/2 year phase that has grown significantly stronger over time. When Lincoln started using words to tell us, “I’m a girl,” and asking for only girl clothes and toys and shoes, we listened. Why did we listen to a child who is not quite 4 years old, you ask? Because in all my years of babysitting and working at a daycare and being a mom, I’ve never had to correct a kid on their gender. I’ve had to correct them not to bite, how to share, to not climb inappropriately on bookshelves, and how to use their voices. But never about their gender. Did anyone ever have to correct you on that? Or your kids? Or did you always know without being taught? We are listening to Lincoln because at least 41% of kids with gender dysphoria will eventually try to take their own life. And as many as 75% will self-mutilate in some way. And those statistics are too big and too tragic to ignore. Especially since kids who are supported and allowed to freely express who they are have the same low statistics for self-harm as cisgender kids. And we want to give Lincoln the best chance we can to be happy and healthy, like every other kid. We listened because the therapist that we see who specializes in gender-creative kids said that Lincoln has all the signs they watch for in transgender children. And that being supportive will do nothing but help Lincoln find her way, but that NOT honoring Lincoln in this will certainly cause shame and harm. And that nothing we are doing can’t be undone, should Lincoln suddenly “grow out of” this. Lincoln has been full of surprises thus far so we are as anxious as anyone to see how this plays out. For now, Lincoln will be presenting as a girl in whatever clothes she sees fit, and we will be using she/her/hers pronouns. This seems the safest and more respectful course of action for our child. And the one recommended by experts in this field. It should not matter to our friendships what kind of genitalia my child has beneath their clothes. I hardly see how it relates to our relationships. But we do understand that for some people, this may be too big and inundating a concept for you to want to deal with. Or even to explain to your own children. We do hope those friends will listen to the recommendations of the American Academy of Pediatrics and the American Psychology Association, and many other institutions that have studied transgender and gender-creative kids, where there are plenty of resources and data to prove that gender dysphoria is real and cannot be changed or influenced, only supported (or not supported). I’ve always felt that it’s good to know who your friends are, and who your friends aren’t. If you do some research and/or respectfully talk with us and still cannot be supportive, we’d like to say thank you for the past we’ve shared but we respectfully ask you to politely leave our lives. The world is harsh enough and our first priority is our children and helping them feel loved and accepted as they are. If you are unable to do that, we understand, but then it’s best that we part ways. What we hope, though, is that our friends and family are willing to learn and journey with us, to support Lincoln in whatever way she chooses to express herself as she ages, and be a supportive village for us as we make this world more accepting place for all of us. We are absolutely humbled and grateful for the amazing love and support that we have received from our closest friends and family that we’ve felt close enough to share this with as we’ve been learning (and struggling to make sense of it all). When things got hard and scary, the people who truly love and support us as -exactly we are- have risen to the surface and been here and for that we are thankful and blessed. If you are looking for more information, the documentary Gender Revolution with Katie Couric is an excellent resource and available on Netflix. I’m also attaching a link recommended by the American Academy of Pediatrics which gives some very clear answers to questions that most people ask. Sadly, most people don’t know anything about gender until they have a reason to. This was also true about us. We are still learning, too. We truly hope that all of you will open your hearts and minds, learn with us and stay along for the ride. I wake up each day and check Facebook memories, looking for a glimpse of my mother. And it is a glimpse, because as mothers we don’t put ourselves front and center. We hang back and take care of it all. It’s hard to be in the pictures when you are always the one taking them. Or in the kitchen doing dishes. But that’s mother’s for you, the magical fairies that get the impossible done day in and day out, most of us without thanks or praise, or help, even though we deserve it. I wish I’d taken more pictures of my mother. But special occasions get hectic, and moms are always in the kitchen cooking, or someone already went home so we just don’t bother making the effort. And on ordinary days, the complaint may be that our hair isn’t right or we aren’t happy with our body or we didn’t do our makeup. There is always a reason to not take a picture. And then we start to age. And our mothers age too and eventually die. And suddenly we realize that we spent 20 years in the background making life happen. And someday someone will look for pictures of us and only find glimpses. If the passing of a parent teaches us anything, it is of our own mortality. Today is my mother’s birthday. She would’ve been 72. I still miss her fiercely but I would say that I’ve gotten more used to her absence. That alone is its own blessing. But I still wish I’d taken more pictures. I hope I can change this for my own children.